St Martin de Belleville, in the Three Valleys in France, is a small, unspoilt ski village where very few of the big ski companies operate. There is the large number of independent chalet operators managing just one or two chalets – at least 10 at last count – and even more surprising is the greater number of ‘agency’ websites that advertise these properties ‘on behalf’ of the owners. As these agencies are not offering package holidays, simply accommodation, they do not have to be part of ATOL, a Civil Aviation Authority (CAA) scheme to protect people who have purchased package holidays, ABTA UK’s leading travel association, or a member of ABTOT, the Association of Bonded Travel Organisers Trust. And very few of these ski agencies, which take payments from the customer to pass to the chalet operators, are registered with the Travel Trust Association; the vast majority offer no financial protection at all. 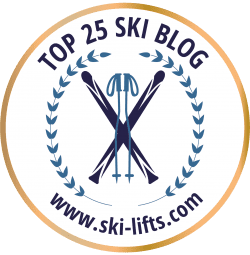 Then there are the fraudulent sites that are search engine optimised to appear for the types of search phrases people are using when researching and booking their ski holidays. These sites list existing chalets by legitimate operators, often simply lifting the text and photos, on their own site and then ask the customer to book by making an online bank transfer. This destroys value on both sides of the equation as customers have their money stolen but also chalet operators can find themselves with multiple groups of people turning up each thinking they have booked the chalet as outlined in a report by This Is Money. The thing is it’s very hard to tell which is the legitimate chalet owner site and which is a scam. The majority of the smaller operators do not have booking engines on their site where payments can be made by credit cards (where the customer is protected against fraud) and therefore they themselves often ask for a bank transfer. So what can you do to avoid being scammed online? We would recommend doing as much research as you can, asking the ‘owner’ numerous technical questions and seeing if the website blog and social channels are being updated in a natural way. ABTA has more information how to avoid holiday booking fraud here.